While we enjoy this amazing weather and grill is our irreplaceable companion in the picnic. 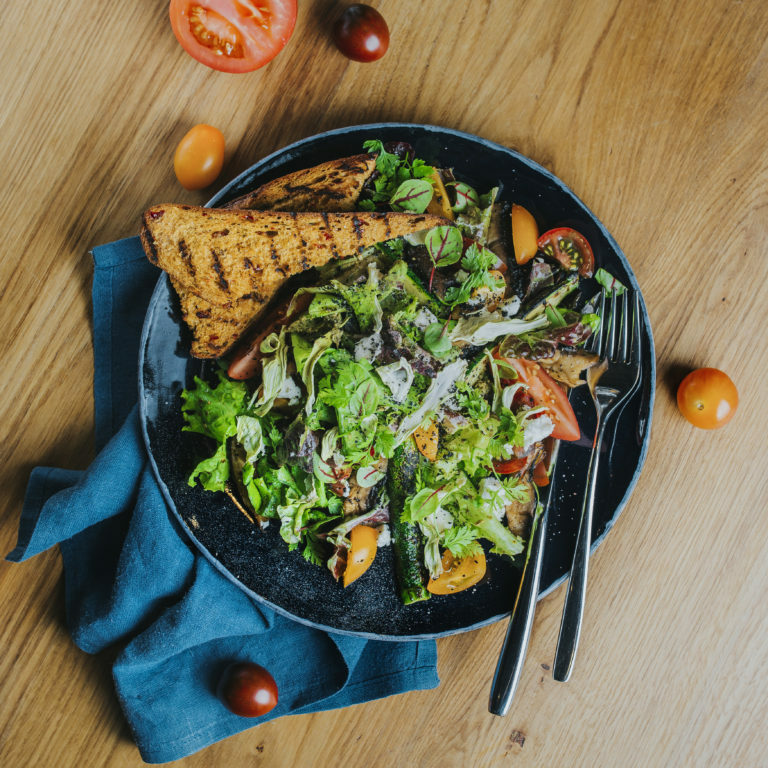 A chef of restaurant HEALTH Arturas Lapajevas wants to share a recipe of grilled vegetable salad with goat cheese and pesto sauce. Cut the medium size mushrooms to 1 cm thick strips. Put some pepper, salt, squeeze the garlic, and then sprinkle it with olive oil. Mix and bake it on the grill for 3-4 minutes, using 200 degrees of heat and at the same time grieve some bread.